The first show of the season helps celebrate the opening of the new Country Music Hall of Fame and Museum exhibition The Bakersfield Sound: Buck Owens, Merle Haggard, and California Country. Among those performing during the kick-off show will be Gatlin, Elizabeth Cook, Jim Lauderdale, Chuck Mead, and Leona Williams. The following week, Thursday, April 5, host Gatlin will welcome some of country's all-time favorite female voices for a special "Women of Country" Opry Country Classics. Among those performing will be CMA award-winners Lynn Anderson, Janie Fricke, Lorrie Morgan, and Pam Tillis. 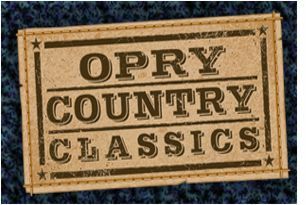 Several Spotlight Artists will headline Opry Country Classics shows later in the season, each performing a number of memorable classics. Among this spring's Spotlight Artists are The Time Jumpers (April 19), Marty Stuart (April 26), Charlie Daniels Band (May 3), Mel Tillis (May 10), and Loretta Lynn (May 17).